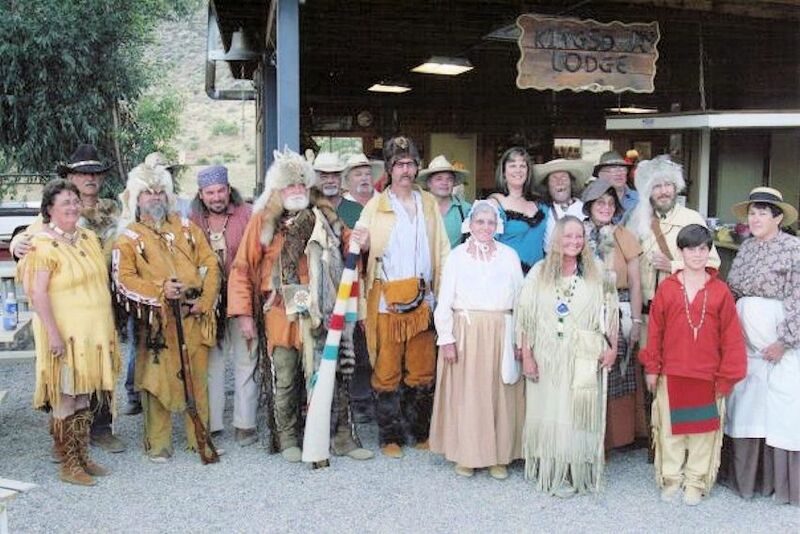 The Florida Frontiersmen host the 49th Annual Alafia River Rendezvous on January 15-26, 2020 at their club property in Bartow, Florida. Early setup is January 16-18; Camp goes primitive at 5:00 p.m. the last day of early setup. The Alafia River Rendezvous has become the largest living history event in the Southeast with over 1,000 adults and hundreds of children creating a pre-1840s encampment. Additionally, this event draws over one hundred traders and thousands of visitors and school children. NOTE: These are Alafia River Rendezvous “participant” dates. The camp is open to visitors on the last weekend (January 24 & 25); see below for admission and other details. NOTE: The information below will have minor corrections, changes, updates or additions as more information becomes available. Alafia River Rendezvous participants, packup your camp and get ready for the Southeast’s largest pre-1840 Rendezvous! 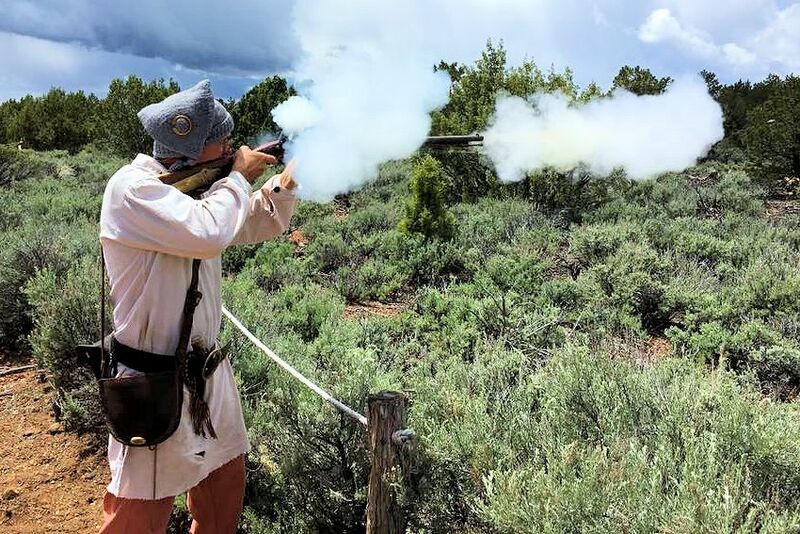 Bring your muzzleloader for shooting range competitions and Woods Walk; be ready for the Hawk & Knife Throwing and Primitive Archery Woods Walk contests. Enjoy the Seminars, Pow Wow, Adult & Kids’ Games, Highland Games and other great entertainment to be had during the rendezvous. Gates open at 9am, all visitors must exit by 4pm. We invite you to step into the past! Come see a living portrayal of how people lived before 1840. Enjoy a program of music and games and see artisans demonstrating crafts such as flint knapping, broom making, blacksmithing, soap making, weaving and more. There will be vendors for food and primitive merchandise on sale. Alafia River Rendezvous provides ample opportunities for members and visitors to learn about the pioneer spirit of our ancestors, how they lived and the skills they used to survive. The Metis’ Indians also establish a traditional native village with teepees in the camp. There will be vendors for food, primitive lifestyles and souvenirs. Visitors will see many demonstrations by the reenactors of historic skills and portrayals of life on the frontier before 1840. There is a full music program that will be performed on-stage, featuring both local and nationally recognized performers. Primitive Encampment Gates: Open: Saturday 9 am; Close to visitors and scouts at 4 pm. Plan on exiting event by 4:00pm. Many rendezvous strictly enforce what is referred to as “pre-1840” rules for participants. Newcomers need to understand that the reasons for “keeping the primitive area primitive”. The Florida Frontiersman offer this great article with important “whys” and “how-tos”. See Guidelines for Rendezvous Beginners. Another helpful article is What is a Pre-1840 Rendezvous. Alafia River Rendezvous School Day is the last Thursday of event (may also make arrangements for Saturday & Sunday). The purpose of School Day is to give children a chance to experience history first hand. Blacksmiths, weavers, potters, rope makers, clothiers, all take time to demonstrate their art. You can see everything from how a bow and arrows are made to our East Florida Frontiersmen demonstrate muskets and cannons. For more information see website or email Rendezvousschooltours@gmail.com. The Alafia River Rendezvous has a tradition that allows Boy Scout Troops to camp outside of the stockade. A large area is provided where tents can be setup, fire pits can be created and Scouts can spend time with the many troops that make the Alafia River Rendezvous an annual event. Potable water and portable toilet facilities are provided in the Scout camping area. For a complete description of rules, costs and other details, email Scouts@floridafrontiersmen.com. Funds raised by the Alafia River Rendezvous provide many scholarhips to local high school students, as well as intensive learning opportunities during the rendezvous itself. Directions: 6 mi. south of Barlow on Hwy 98 & CR640. Mark your calendar today so you don’t miss the next Alafia River Rendezvous in January (generally 3nd to last weekend; public days Friday-Saturday) at the Florida Frontiersmen’s club property in Bartow, Florida.